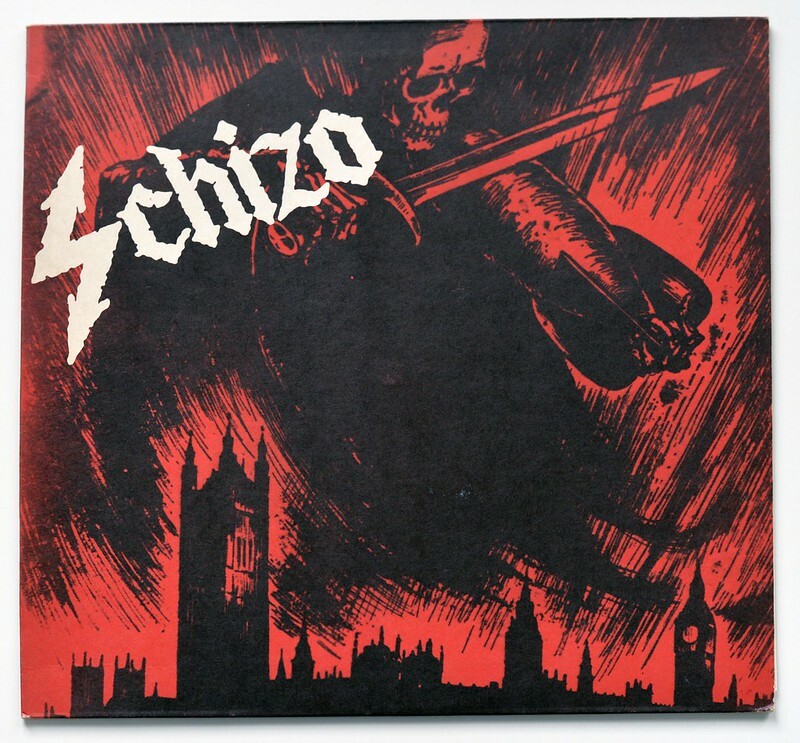 "Main Frame Collapse" is the first official full-length album by the Italian Death/Thrash Metal band "Schizo". 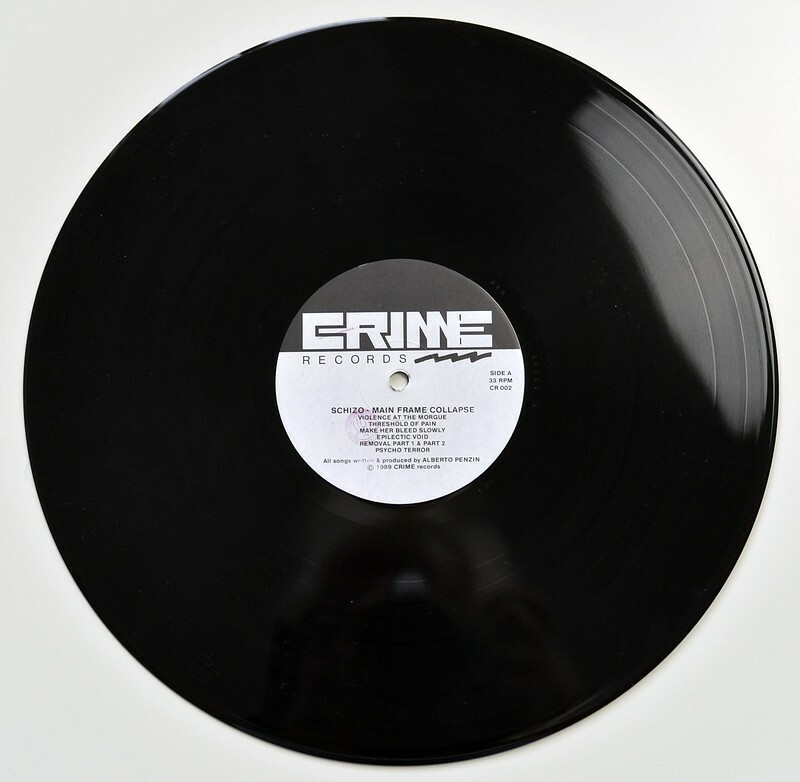 It has been released in 1989 as a limited edition of 3000 copies. 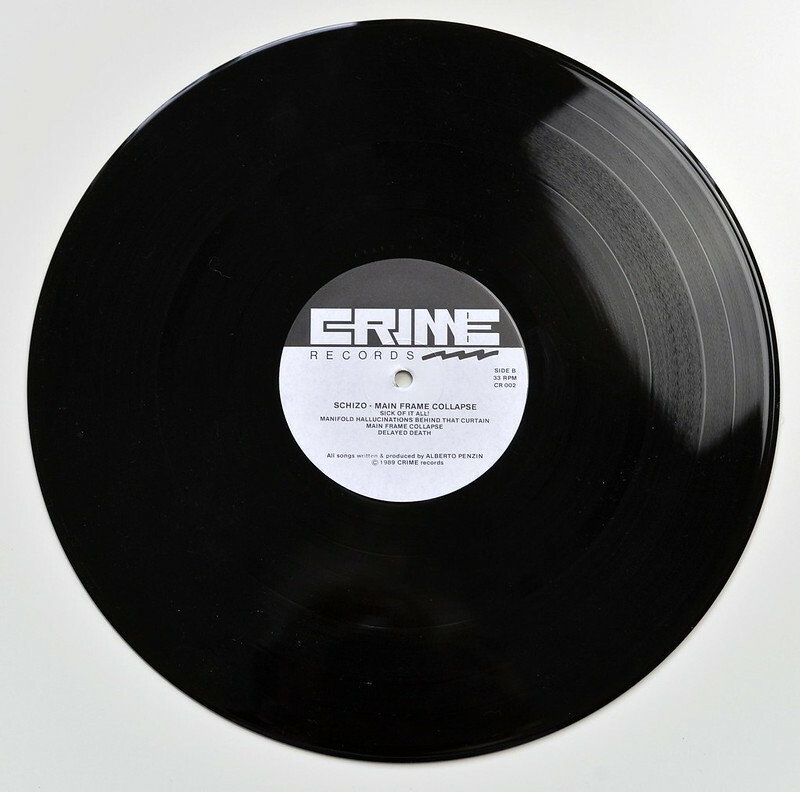 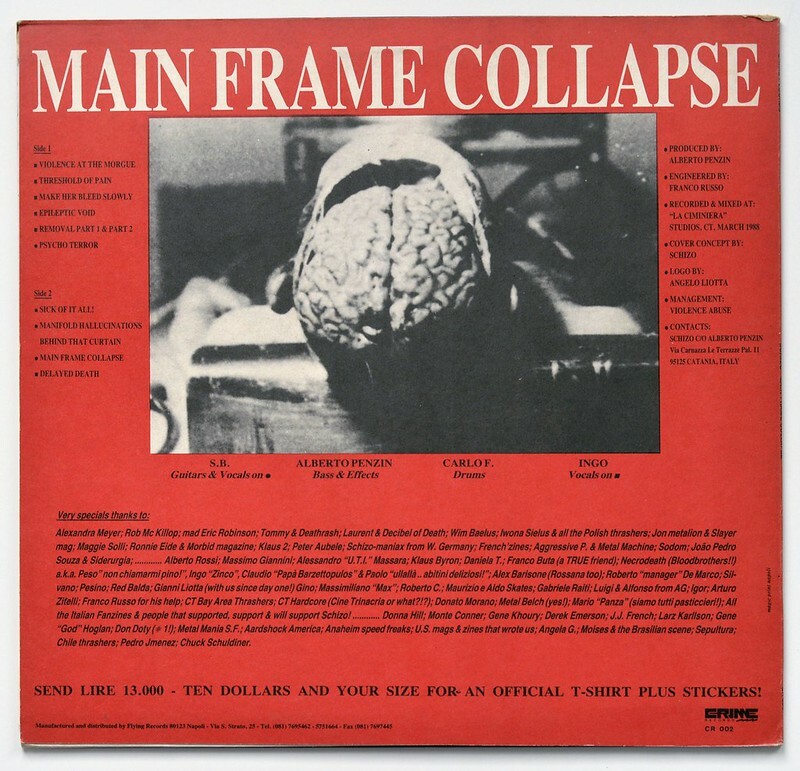 This limited edition can be recognized by it's "matte" album cover, the tracklisting is as one section on the left side of the album cover, the photo of the brain is placed on the upper half of the back cover. 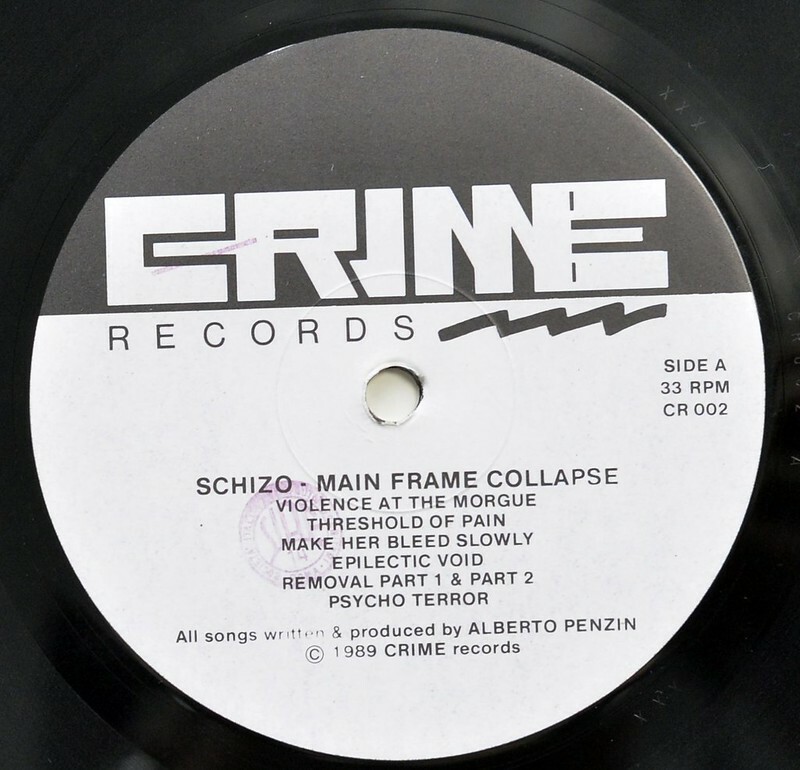 High Quality Photo of Album Front Cover "SCHIZO Main Frame Collapse Ltd Ed Crime"
Album Back Cover Photo of "SCHIZO Main Frame Collapse Ltd Ed Crime"
Complete Track-listing of the album "SCHIZO Main Frame Collapse Ltd Ed Crime"